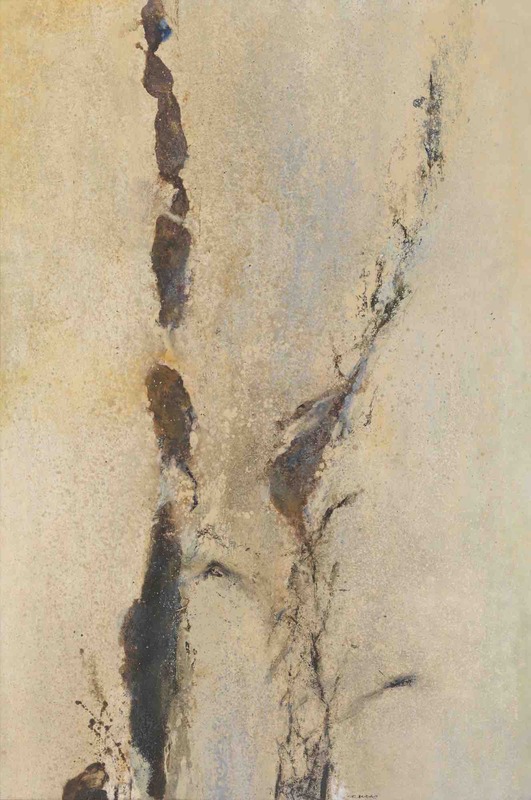 Rue du Moulin-Vert opened an unusual window into the private world of the late master painter Zao Wou-Ki, displaying through art his early years in Paris, as well as the artistic dialogue within his inner circle. Established in 1993, Le French May is one of the largest cultural events in Asia and is currently celebrating its 25th edition. With an objective to touch everything, be everywhere and for everyone, Le French May comprises more than 120 programs in Hong Kong and Macau, attracting over one million visitors per year. 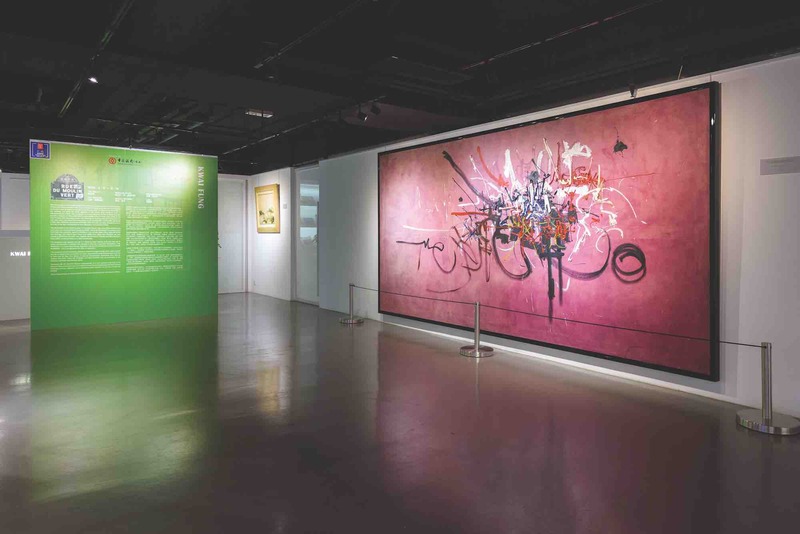 Rue du Moulin-Vert, an associated program hosted by eminent art gallery Kwai Fung Hin, is one of the marquee exhibitions of Le French May 2018, showcasing important works by Zao Wou-Ki (1920-2013) and his inner circle of friends. The foremost Franco-Chinese artist to date and one of the most influential painters in the postwar era, Zao is renowned and revered for his idiosyncratic reconciliation of Chinese and Western traditions, whereby modern Western abstraction merges with ancient Chinese aesthetics. If nothing else, this extraordinary feat alone warrants his place in the pantheon of art. In recent years, Zao’s pièces de résistance are perennially some of the most sought-after on the auction market. His oil on canvas 29.09.64 – 1964 fetched HK$153 million at Christie’s Autumn Auctions 2017, whereas Et la terre était sans forme – 1956, another oil on canvas, was sold for HK$155 million at Poly Spring Auctions 2018. Zao was born into a time-honored scholar-officials family, descending from a prince of the imperial family of the Song Dynasty. Subsequent to the Jingkang Incident of 1125 to 1127, Song ceded all territories north of the Huai to Jin and the prince relocated to the Jiangnan region. Owing to family education, Zao was well-versed in literature and calligraphy, in addition to his lifelong passion of painting. In his youth, Zao idolized Henri Matisse and Pablo Picasso and was enchanted by impressionism. His uncle would bring him postcards, newspapers and magazines from Paris, hence his first encounters with Paul Cézanne and Auguste Renoir. Leaving China for France in 1948, Zao and his first wife Lalan settled at an address on Rue du Moulin-Vert in Paris’ 14th arrondissement. Their abode was close to Alberto Giacometti’s and the couple were friends with Nicolas de Staël, Sam Francis, Hans Hartung, Georges Mathieu and Pierre Soulages. Named after Zao’s first address in Paris, the exhibition shed light on his early years in France and the artistic Zeitgeist of postwar Paris, as well as how friends artistically inspired one another. Zao’s chefs-d’œuvre may appear sacrosanct in the 21st century, but the man is of flesh and blood; it would appear that his life journey informed his art more than the other way around. As his first marriage ended in divorce in 1957, he travelled extensively for two years, especially in the US. The experience opened the door of abstract art to Zao, with 1959 generally considered the watershed. Upon attaining French citizenship in 1964 on the recommendation of Minister of Culture André Malraux, himself a novelist and art theorist, the influence of lyrical abstraction on Zao deepened and persisted throughout the 1960s. Zao was in his prime, creating a number of profoundly structured and intensely emotional paintings, but not at full capacity. By the late 1960s, he had stopped travelling altogether to take care of his beloved wife Chan May-Kan, who lapsed in and out of severe mental illness, finally taking her own life in 1972. Around the same period, his father did the same during the Cultural Revolution. In appreciating Zao’s masterpieces from the 1960s to the 1970s, one could not help but muse on his emotional state, personal struggles and inner sufferings. The years following Zao’s marriage to curator Françoise Marquet in 1977 saw him achieve the most prestigious of international prizes and recognition. His works were exhibited for the first time in China in 1983, hence completing his journey from east to west and back to east. He would continue to paint until the very end, with a number of creations dedicated to family and friends. Diagnosed with Alzheimer’s, in his later life Zao switched from large-format oil on canvas in his studio to watercolor on paper al fresco. He passed away on 9 April 2013, a day after Margaret Thatcher, and was buried at Montparnasse Cemetery, a stone’s throw away from his first address in Paris. Life has come full circle. Studying Zao’s life and works is reading Franco-Chinese art through the decades and every exhibition is a chapter of the encyclopedia.